Tamashii Nations has posted up the official product pages for their first two figures from Godzilla: King of the Monsters. The new listings give us a better look at, and more details for, the S.H. MonsterArts versions of Godzilla and King Ghidorah from the upcoming film. Pre-orders are scheduled to go live on January 9th, 2019 in Japan. Official US release details should follow soon after that. Godzilla stands about 6.3″ tall. The figure will include an atomic breath effects piece. Tamashii Nations makes special note of the fact that he head can point straight up to achieve » Continue Reading. 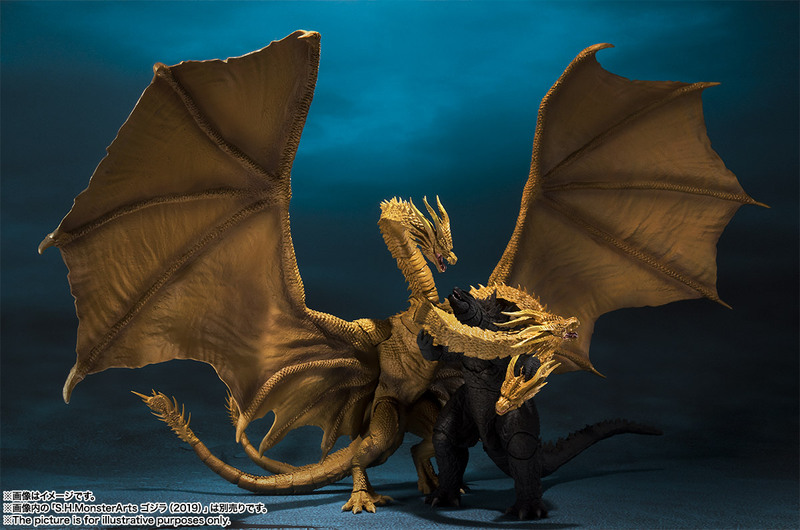 The post Godzilla: King of the Monsters – SH MonsterArts Godzilla and King Ghidorah appeared first on The Toyark – News.